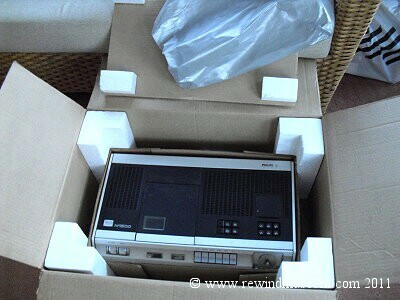 Vintage Philips N1500 video recorder VCR. Museum of old video recorders. 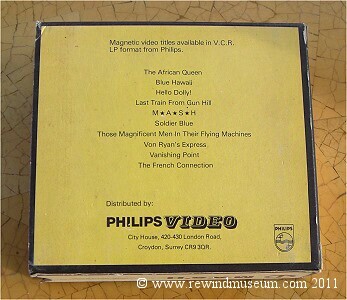 Philips early video history. Philips N1500, N1700 and V2000 systems. domestic video cassette recorder makes this is a very important page. Hope you find it interesting. 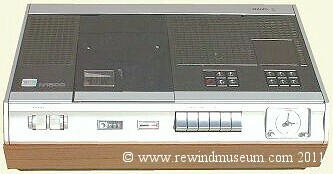 The Philips N1500 VCR with analogue clock from 1972.
out a year earlier in 1971 but really only became popular in the professional broadcast market. arrive in homes in reasonable numbers for their day, they were used in schools extensively. owners manual, a manufacturers brochure and a Philips 1500 head cleaning kit. Update May 2007. We now have two Philips N1500s in the museum, both in excellent condition. 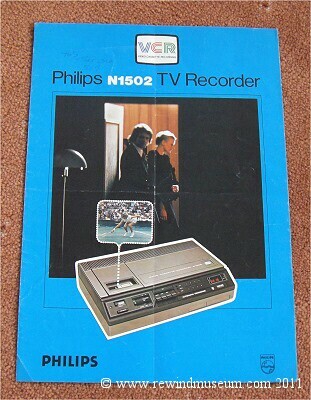 Featuring the Philips N1500 video recorder. See this magazine in more detail on our vintage publications pages. 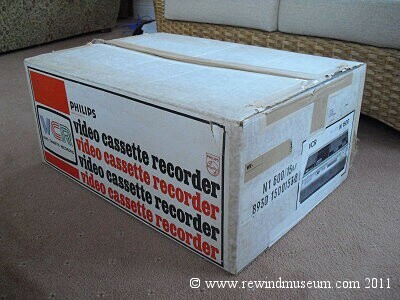 A Philips n1500 complete with all of the manufacturers packaging. when it was first introduced. This often resulted in buying a system which soon became obsolete. In the VCR format wars, VHS eventually won and became the domestic recording standard. Ronald sadly died in 2010 and this n1500 was donated by his son-in-law. There are some more pictures from the manual below and a letter from Philips detailing prices. 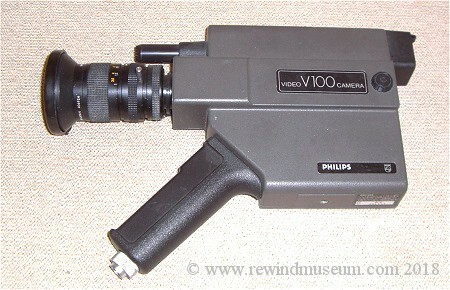 The Philips VCRs would have been used with this camera. See more pictures and more information about this camera on our vintage video cameras page. The N1501 was a face-lifted N1500 with improved colour circuitry and still frame. 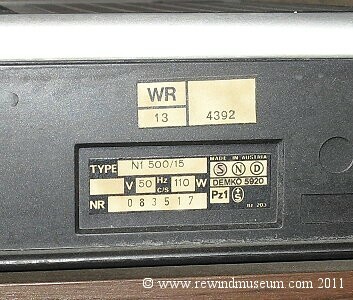 We have a Philips n1501 in our museum. See below. Retail price at the time was �649. The weight 18 Kg. The 1502 was fitted with a digital clock. 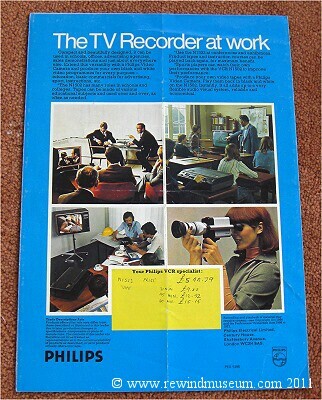 The pictures in this brochure show Philips aiming the N1502 at both business and the classroom. 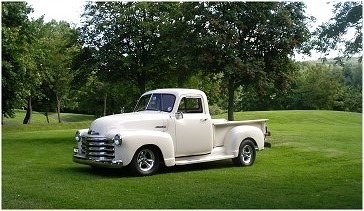 RRC Model 8201. (Philips clone) 1974 approx. Radio Rentals was part of Thorn Consumer Electronics limited. about right but there are some small differences which will be detailed here soon. The unit is in good condition and even includes an RRC 8201 service manual. 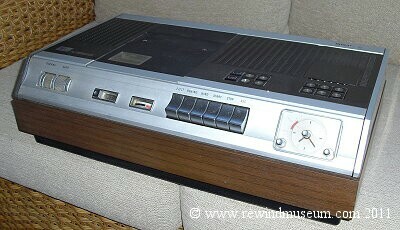 The first long-play Philips VCR. Notice the tuner unit is in a pull out draw. 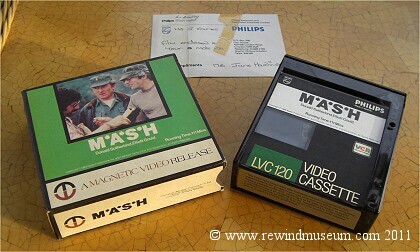 We have a large collection of Philips tapes. The Philips VR2020 and VR2023. These are Philips 2000 system units. 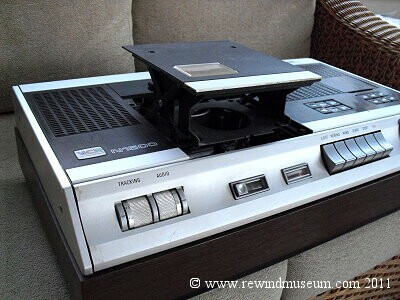 They were well ahead of the VHS and Betamax rivals at the time in many respects. the shops or rental outlets. 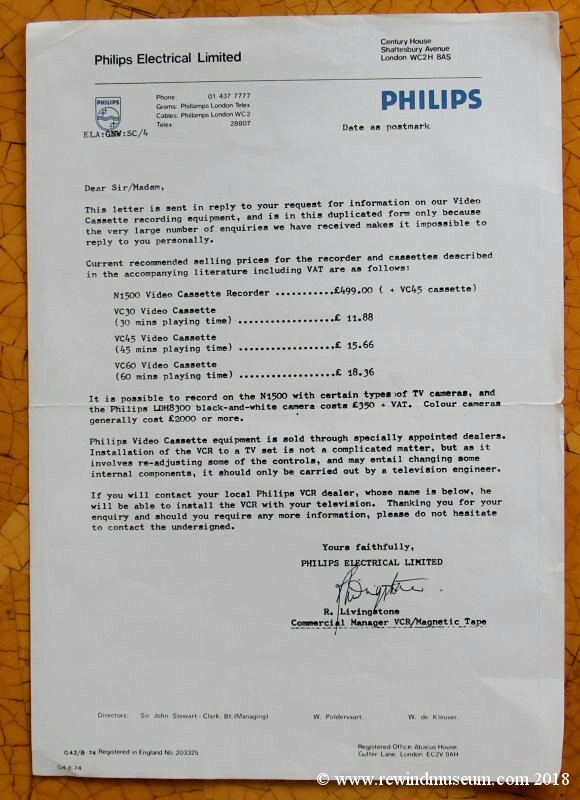 This was one of the reasons why VHS won through and other systems became obsolete. An original brochure for Philips Video 2000 Equipment. Dated 1983, it is A4 size and has 18 pages. Featured are: Cameras VK 4100, VK 4032. Recorders VR 2220, VR 2324, VR 2334, Tapes and Accessories.